This site is jam and giraffes. Jam, because of Grace in the mess of life. Because of this and this and this and so many other jammy moments. Moments of noticing God’s grace and choosing to revel in it. Jam, which is both sticky and comforting. Both glorious and messy. Giraffes, because of a certain letter. And the viral attention it received (check the story with the tags, or just google it). It was sticky and discomforting. Glorious and messy. We still love giraffes. We still love jam. 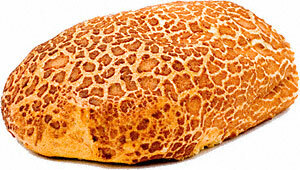 We are still amused at the attention the giraffe bread story brings from time to time. We see grace more than we used to: now hiding, now in full view, and our journey has taken in joys and sorrows – so much more than a blog could do justice to. We have chosen at times to hide our real lives from the glare of the internet. We don’t want to reveal everything we do and everywhere we go, but we do want to celebrate good things God has done. He continues to teach me every day. I have been working hard at writing, and to that end have begun an author blog. Having wondered whether to continue running two blogs for some time, I’ve now decided the time has come to focus just on the one. I will keep jam and giraffes up and running; I still get a number of hits internationally, but I may slim it down a certain amount. Writing this blog has been a great start but it is not the journey I am on right now. Thank you for reading jam and giraffes. I pray you do experience what God’s Grace really looks and feels like for yourself. Nothing beats trying it, realising what you’ve been missing and allowing God to change your entire outlook. If you want to change platforms, you are welcome to visit me on my regular blog, which is at Lucy Marfleet. It will have more links to projects I am working on as a writer, but less about family life. Marfleet was my maiden name, and the name I write under. I am, of course, very proud of my married name. However, there are others with my name, including writers and academics and the odd soap character. Robinson is easy to hide behind. Marfleet is distinct. Come and join me there and see what’s taking shape.